In conjunction with the V36 Nissan Skyline lineup, the Infiniti G35 sedan was redesigned for 2007. The coupe followed in 2008, when the engine was replaced by a 3.7-liter V6. The G37 sedan received the same engine for 2009. The same year, the Infiniti G37 convertible joined the lineup. 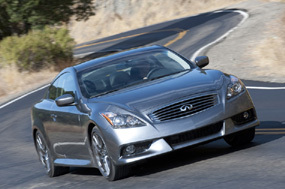 Both the Infiniti G37 sedan and coupe are also available with all-wheel-drive. Introduced in late 2010, the Infiniti G37 IPL coupe is the first model of the Infiniti Performance Line (IPL). Available in the US only, the Infiniti G37 IPL coupe features unique exterior and interior accents, as well as various mechanical modifications, most notably a stronger engine with 348 hp.